Once you have determined to install security systems at your workplace, it is good to approach a reliable Hikvision distributor in Oman. VDS Oman is focused to providing advanced security solutions to the industries across Muscat. Being a leading Hikvision supplier in Oman, we have the right systems and solutions for your ever-expanding business. Hikvision CCTV is world’s leading supplier of innovative video surveillance products and solutions. Hikvision CCTV Oman continues to develop high-performance, high-definition video surveillance solutions tailored for multiple applications. Hikvision IP CCTV Solution make CCTV surveillance installation more faster, simple and smarter for SMB applications. VDS proud to supply and install Hikvision CCTV products as part of their CCTV product range.The Hikvision’s Smart Solution for business are total IP system for productivity and security. Hikvision CCTV Systems provides around-the-clock protection with industry leading low light technology. 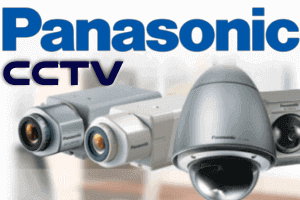 As a major CCTV systems provider and CCTV distributor in Oman, we are good at installation of CCTV security in Oman. Over the years of experience in delivering security solutions, we understand the breadth and depth of communication technologies. So that we take pride in developing security solutions with the Hikvision products for organization and residences. Particularly in a city like Oman, installing a complete security system is essential, that not only increases the productivity but also keep a close eye on your assets. Hikvision presents other range of security products as well which can be best utilized for designing a complete CCTV security system in Oman.